Do you feel like you are being controlled? Most people do and it is by no accident or acts of randomness that you feel that way. Rather it is by a well thought out, well coordinated plan by a small percentage of the human population who believe they are genetically superior and more deserving than everyone else. I am not saying that all of these people are evil with a hidden agenda of taking over the world and making us their slaves, nor I am talking about conspiracy theories here. At one point in time there were logical strong arguments that could be made against such theories. 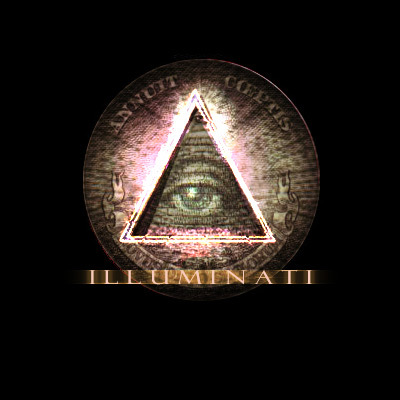 Now that information has been revealed either by existing or past members of these secret societies, it is no longer a theory. Around 1% of the human populuation truly believe it is their exclusive birth right to have control of and even more importantly to stay in control of everything on the entire planet. They accomplish this by the use of any means necessary to control a country’s money and hence its political system. This is not a freak of nature or some failed presidential policy or even a glitch in some financial market as we are led to believe. This is the result of a well thought out plan created many years ago and it has been advancing ever since without a hitch. The debate whether or not he really made that statement is irrelevant. I leave that for the conspiracy and non-conspiracy theorists. The point I want to make is regardless of whether you believe it was said or not, it should come of no suprise or coincidence knowing that is exactly what he did with the help of his five sons starting out with taking over the Central Bank of England. Today it is estimated that the Rothschild Family controls half of the earth’s wealth. That’s a single family alone controlling more than half of the world’s economy. Their worth has been estimated to be in the trillions of dollars. That’s trillions not billions. The thought of that is just mind blowing! Isn’t it? There is no way to actually verify their wealth though because they are not required to disclose their finances to anyone. Interesting, it appears they care not who is making the laws. A very nice position to be in , isn’t it? It is not owned nor controlled by the US Government and certainly not by the will of the people! So then if it is not owned or controlled by the US Government, then someone has to own and control it. Makes sense doesn’t it? Then who else is left? The only ones left that can own it is the private sector. Who else? Aliens? Whether it is the super wealthy or the big bankers is irrelevant on the surface. What is relevant is that the US Monetary System is under the control of private interest and with that being said, a strong argument can be made that with control over a nation’s money, I suppose then it doesn’t matter who is making her laws. Quite interesting indeed, wouldn’t you agree? Do you think that may be what’s behind the next point? Over the course of the last couple of decades, one could not help but hear an economic report stating on how the rich are getting richer and the poor are getting poorer. That statement seems to have become a modern day cliche. One cannot help hearing it repeated over and over again especially during election time. Don’t take my word for it. In the United States, wealth is highly concentrated in a relatively few hands. As of 2007, the top 1% of households (the upper class) owned 34.6% of all privately held wealth, and the next 19% (the managerial, professional, and small business stratum) had 50.5%, which means that just 20% of the people owned a remarkable 85%, leaving only 15% of the wealth for the bottom 80% (wage and salary workers). In terms of financial wealth (total net worth minus the value of one’s home), the top 1% of households had an even greater share: 42.7%. So in summary what the above information means, that as of 2007, 20% of the people in the US controlled 85% of all the privately held wealth. That left only 15% for the remaining 80%. Further more, back in 1983 the top 20% owned 91.3% of financial wealth opposed to 8.7% for the remaining 80%. That number grew in 2007 for the top 20% to 93% and decreased for the remaining 80% to 7.0%. Is there any wonder why stress levels and stress related illnesses are at an all time high? Is there any wonder as to why you are working longer and harder for less? Why it requires more than one earner per household to maintain just a status quo standard of living? Why most people cannot afford to lose their low paying JOB (Just Over Broke)? Who have you been listening to regarding information on what it takes to succeed in life? Your unemployed neighbor? Your know it all relative who is 90 days from bankruptcy? Would you rather listen to people who already have what you want and are willing to share their methods on how they got it? So why did I feel the need to make these points and ask these questions? Because if you are anything like me, you have worked your brains out for a very long time and all it comes down to is like running the game of life on a treadmill. You know the feeling. It’s like running and running and never really getting anywhere. Investing plenty into education and self development material only to get marginal if any results at all. Don’t get me wrong. I am not complaining. I am grateful for what I do have in my life but for some strong reason I always felt deep down inside that there was something still missing. Something deep in my heart telling me that there is plenty more to it then what I am being told.